Bacolod City is most notable for its Masskara Festival. But aside from this festival, Bacolod is also a perfect destination if you’re looking for different kind of adventures. Home to delectable food and authentic specialties, the city of Bacolod is an ideal destination if you are up into an exciting food trip. The neighbouring towns are also interesting destinations to spend a beach getaway or see some historical tourists spots. Bacolod City is also a nice base for outdoor activities. There are several places to go for sightseeing and amusement. The city itself has a number of significant landmarks and things that tourists can do. I see Bacolod as one of the interesting places to visit in the Philippines. Even for just a weekend, you’ll surely find yourself enjoying the city and the different adventures and attractions that it offers. 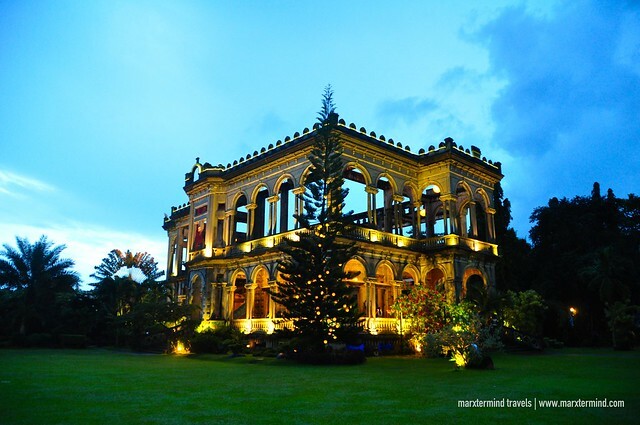 So here are the 6 things to do when visiting Bacolod City. Bacolod is a food haven. So if you enjoy food trip then this is a perfect destination for you. 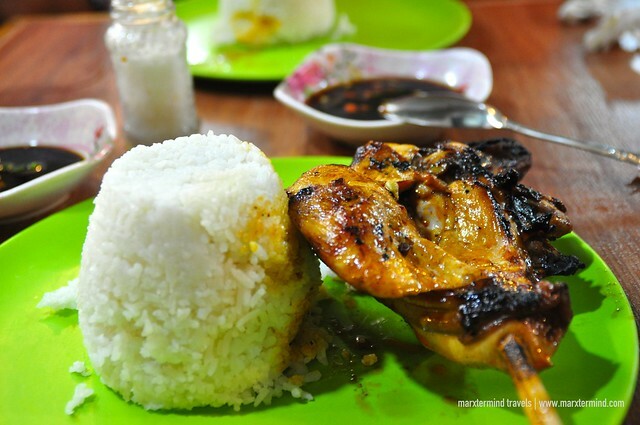 Bacolod is home to the famous chicken inasal. In Bacolod, there are a lot of restaurants that offer this charcoal grilled chicken. There’s Chicken House, Chicken Deli, Manokan Country and more. I tried Chicken House before but what I enjoyed more is the one at Aida’s Manokan. They have on in Manokan Country, which is just across SM Bacolod. Afterwards, explore the streets of Bacolod for snack and desserts. Try the mouthwatering cakes of Calea, Tiffany’s and Felicia’s. Do not also forget one of the city’s delicacies, Napoleones. Have one at Roli’s Café. This specialty is also available at Pendy’s, Merci and Bongbong’s. 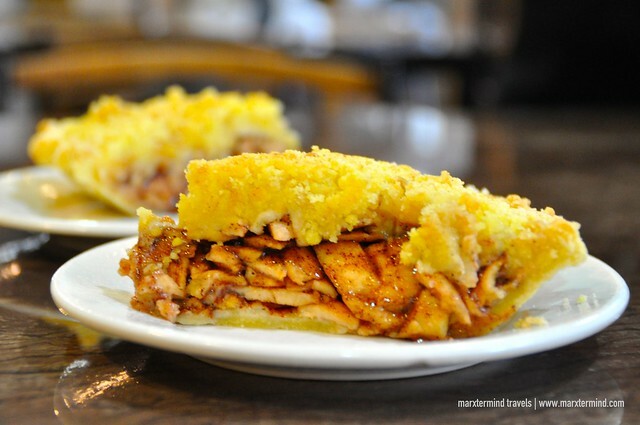 Another one to try is the Guapple Pie in El Ideal Bakery. 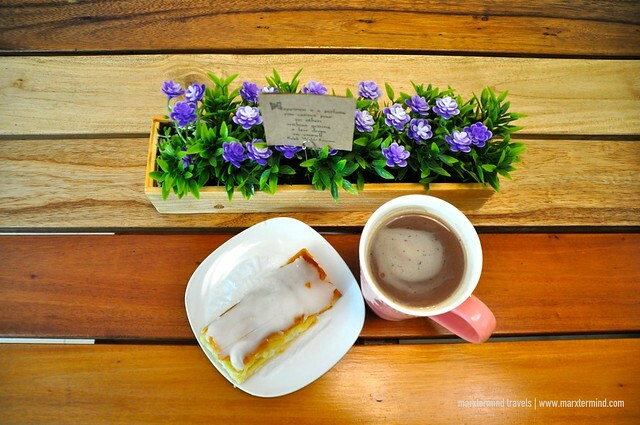 The bakeshop is actually not in Bacolod City but in Silay. It’s near the airport so if you have a chance, drop by and sample this dessert. Bacolod also has other several restaurants offering other specialties and cuisines but if you’re craving for Latin American or Mexican food, then try Fogo Grill. The restaurant is located along Lacson Street nearby Robinson’s Mall. 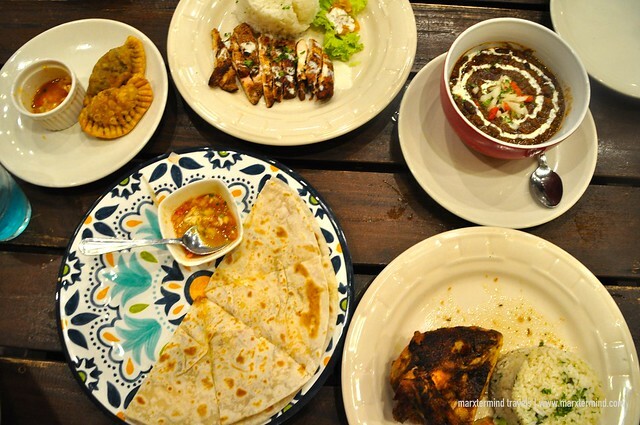 We dined in during dinner and sampled some of their best dishes from Burritos, Fajitas, Quesadillas, Chili con Carne, Peri Peri Chicken and many more. Bacolod is also nice for sightseeing. Get around the city and discover some significant landmarks and historical attractions. Visit the Capitol Park and Lagoon, Negros Museum and San Sebastián Cathedral. There are also some other enjoyable destinations to visit in the nearby towns such as Campuestohan Highlands Resort. The Ruins in Talisay City is magnificent anytime of the day but the best time to visit it is during sunset. It is at its most picturesque appearance during this hour. And also because of that, The Ruins is also at its busiest time. It can become crowded. Most people visit this place late afternoon till sunset. 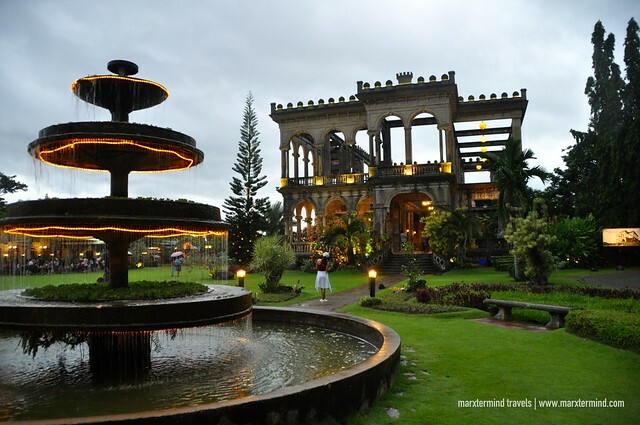 The Ruins was built in 1900s by wealthy sugar baron Don Mariano Ledesma Lacson for his portuguese wife, Maria Braga. It was furnished with imported luxurious items that time and its structure resembles that of the Italian architecture with neoclassical columns. It met its sad fate in the early part of World War II when it was burnt to inhibit the Japanese forces from using it as headquarters. Today, the mansion still stands tall and continues to awe both local and foreign tourists with its picture-perfect and magnificent ruined structure. Mambukal Resort is a nice mountain resort in the town of Murcia in Negros Occidental. It 30 to 45 minutes drive from Bacolod City. The resort has a number of hot sulfur springs, swimming pools, gardens and lagoon to name a few. Activities such as canopy, boating, zip line and other outdoor activities are also available. There’s also series of waterfalls in the area if you’re up for adventure. A trek to see the 7 waterfalls can take up to 2 hours back and forth, and still depending on your pace. 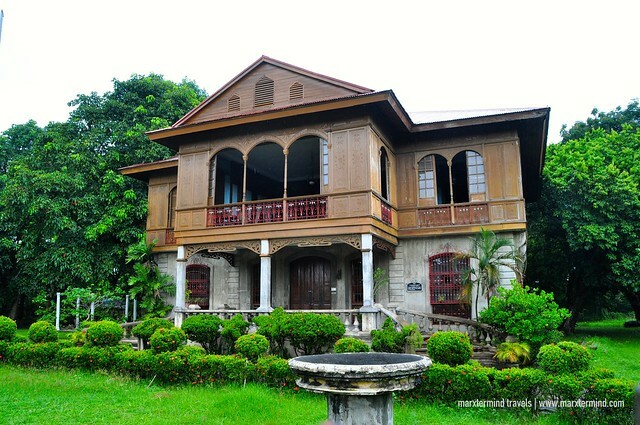 If you love old houses and history then Silay is the place to visit when in Bacolod. There are a lot of heritage houses and historical buildings. We explored Silay on our first day after our flight from Manila since its location is closer to the airport. We spent two hours wandering around the street to see some of the ancestral houses in the area. Balay Negrense, Bernardino Jalandoni Museum, San Diego Pro-Cathedra and Hofileña Heritage House are among the places that we visited. Lakawon Island is located off the coast of Cadiz. It is 48 kilometers drive from the city of Bacolod with travel time that takes about 1 to 2 hours. 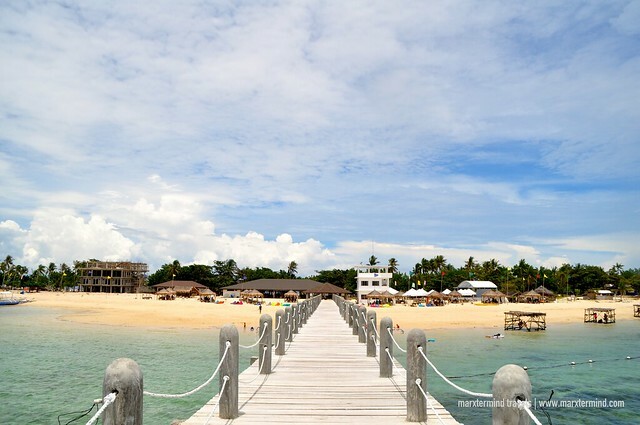 Lakawon is a perfect destination if you’re looking to spend a day in a beach. It has creamy white sand and clear blue water. It is a great destination that everyone can enjoy. Bacolod City is a fantastic destination to explore. It has interesting places to see and exciting activities to experience. During long weekends, you can easily explore the best of the city and its neighboring towns. If you have other recommendations that need to be included on this list, feel free to comment below and I’ll try it the next time I visit Bacolod.